The Makehouse at the Main Street market. 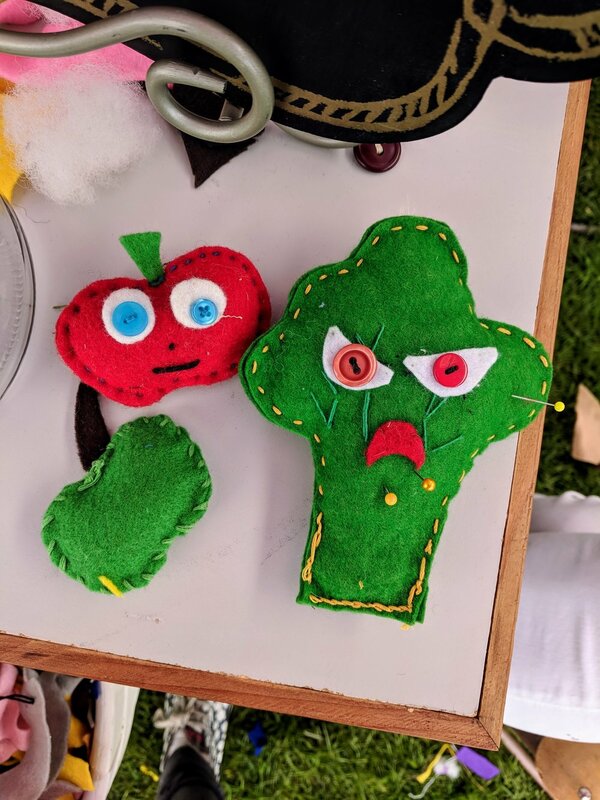 The Makehouse popped up in the Main Street market as well as in Kidlandia this year where festival goers could buy fabrics and kits, fix costumes, and participate in making fun felt creatures. We were the go-to spot for sharing and repairing costumes which lead to some awesome photos of what everyone was wearing. The costumes that come to Rifflandia every year are one of my favourite parts as they highlight the incredible creativity of everyone who attends. Sewing with felt in Kidlandia. 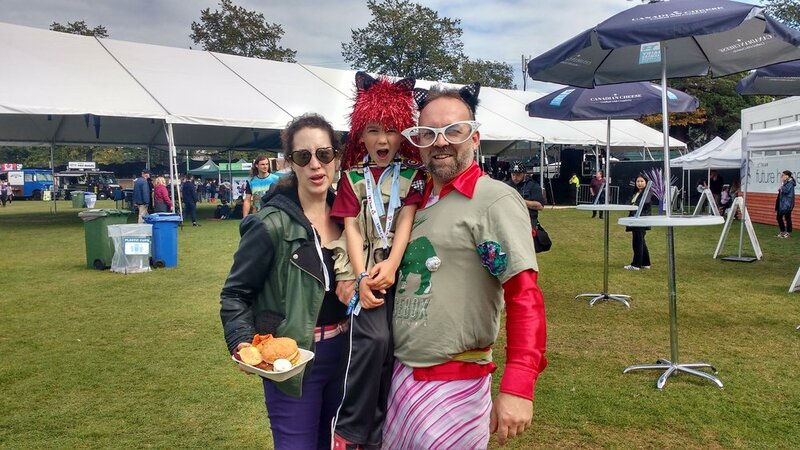 This year themes included Flannel Friday, Psychedelic Jungle Saturday, and my personal favourite for a west coast themed festival, Salmon Sunday which lead to some festival goers wearing a full fabric fish as a hat. Other great costumes included fabric beards of all colours and textures, full sunflower patterned matching sets, and taco hats. Check out the variety of cool photos from Rifflandia 2018 and look for The Makehouse again next year at the festival. And in the meantime, get some inspiration for Halloween from all of these wild outfits.